Disclosure: We received tickets to attend this show to facilitate this review. All opinions are 100% our own. 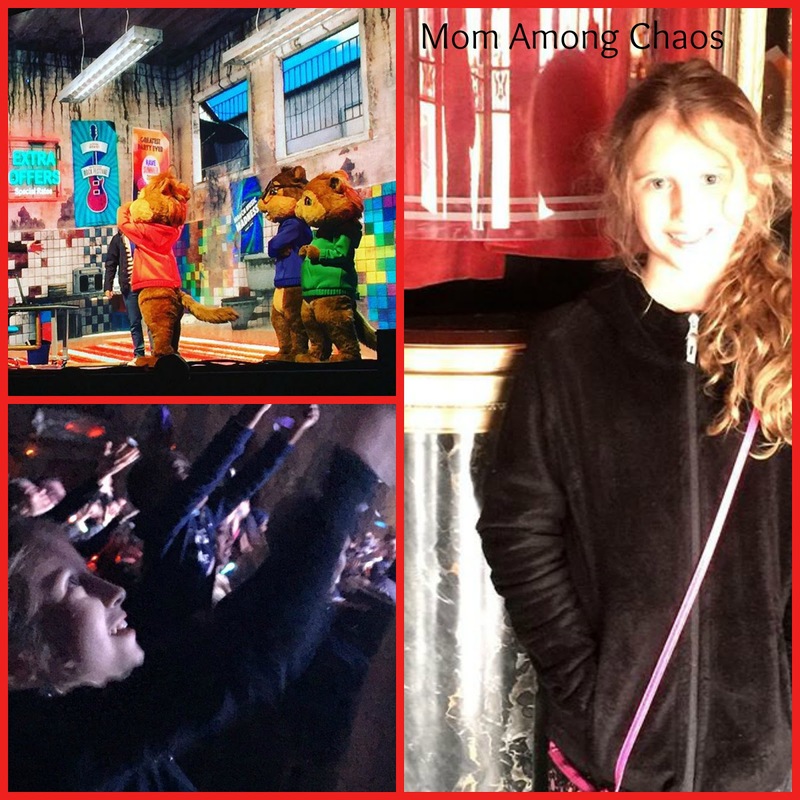 Last week Mom Among Chaos took our younger daughters to the Fox Theatre in Detroit for Alvin and the Chipmunks: Live On Stage! Our seats were wonderful, close up and on the aisle. The show started with colorful streamers being shot high into the air. My daughter loves to catch streamers at shows. At one point, snow fell from the sky and at another this foam play food was shot into the air. It was cool for the kids to get a little souvenir. The performers got everyone clapping, dancing, and singing along. Not just the kids either, the adults joined in. There were popular, recognizable songs. 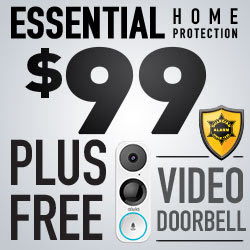 I noticed they changed some of the words a bit, though. The plot was about the Chipmunks and Chipettes going on a road trip tour and all their adventures along the way. My favorite part was the dancers. A really cool moment was when they invited 2 girls on stage to "play" drums and tambourine. I think they might have been VIPs because they had on show shirts. I really like seeing a professional stage show come together because I know all the hard work that goes into these shows. Having my daughter in so many youth plays makes me appreciate live theater even more. I will definitely be attending a Fox Theatre show again. You can see our first blog post about the show here. 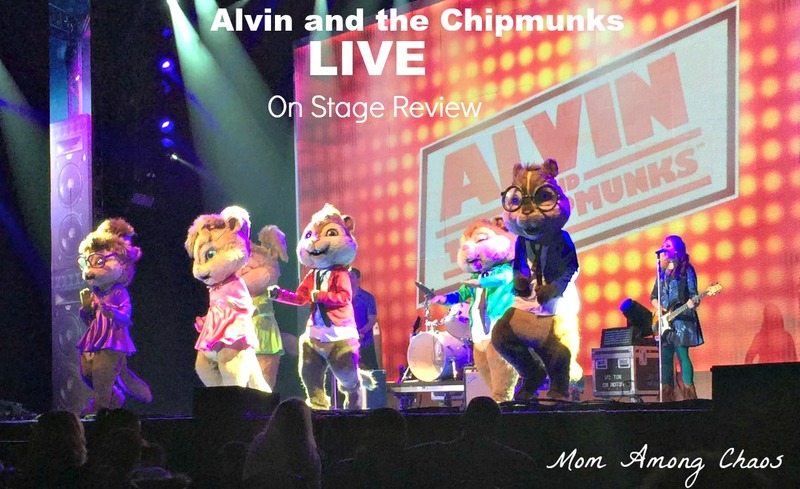 For more information and to purchase tickets for other tour dates please visit www.alvinlive.com. Check out the other cool family shows coming to Detroit soon.